On January 12th Sarah Cogswell, Kate Levin and Massimo Vliet suffered very extensive losses of equipment, livestock and products in a devastating barn fire at their farm, Cluck & Trowel. Please visit GoFundMe to consider making a donation to help them with their recovery. If you would like to mail a check, please make it payable to the Dartmouth Grange with a memo reading Cluck & Trowel Barn Fire Relief Fund. Send your check to the Dartmouth Grange, 1133 Fisher Road, Dartmouth, MA 02747. Sincere thanks to you for the support to Cluck & Trowel. 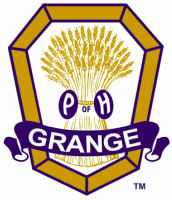 Visit The Junior Grange No. 104! GO TO THE JUNIOR GRANGE WEBSITE!